Welcome to the Crouton portion of Chromebook Guide. I’m glad you’re here! To skip the introduction and go right to the instructions, click here. The goal of this page is to layout some easy to read, non-intimidating instructions for some Crouton related things, and hopefully explain a few things along the way! Are you new to Crouton? Are you here because you keep hearing people talk about Crouton and how it’s changed their lives but you’re not really sure what it even is? Great! Let me begin by explaining what Crouton is. As you probably know, there are 2 main operating systems dominating the computer world right now: Windows and MacOS. What you may or may not know, is that there’s a third, lesser-known OS that’s been around for quite awhile called “Linux”. Note: Nerds, before you send me hate mail, I know that Linux is not an OS, it’s a kernel upon which various OS’ are built. Get over it. Non-nerds, what did I mean by that note? Well, Linux isn’t technically an OS. There are several OS’ that are built on what’s called the “Linux kernel”. What’s a Linux kernel? Don’t worry about it. You don’t need to know what it is. I don’t even know what it is. It’s just a thing. That does stuff. Here’s what you DO need to know: There are many OS’ built on the Linux kernel, one of which is called “Ubuntu”. Crouton allows you to install the Ubuntu distro on your Chromebook. Note: All OS’ built on the Linux kernel are typically referred to as a “Linux distro”. So I would say “Ubuntu is one of many Linux distros”. We’re only going to talk about Ubuntu here. So what does any of this have to do with your Chromebook? Well, as you probably have figured out, your Chromebook is really fast, and really secure. These awesome benefits come at a price however: the Chromebook does not support installing software or drivers. This means no Photoshop, no iTunes, no Office365 etc. Most people are able to find alternatives, and that’s why they buy a Chromebook, because they’ve done their research and they know the limitations. For instance, instead of Photoshop, you could use www.pixlr.com to edit your photos. Instead of iTunes, you could use Google Music to listen to/purchase music. But sometimes there isn’t a great alternative available. For instance, there isn’t a good video editor that works on Chromebooks. Also, many people find Pixlr to be lacking. One of the biggest advantages to Linux distros, is that there are many many free softwares available. For instance, if Pixlr just isn’t robust enough for your photo editing needs, you could use a free program available for Linux called “Gimp”. There are also video editors, and audio editors available for free. OK, so now that we know what Crouton is, and what Ubuntu is, and why we would want it on our Chromebooks, let’s get to the fun part: Installing Crouton on your Chromebook! For the following devices, you’ll want to power your device off, find the recovery button press and hold the button, then power on the device while holding the recovery button. For all other devices, Press Esc+Refresh then hold down the Power button while the unit is powered ON. This will take you into what’s called ‘recovery mode’ and looks scary . 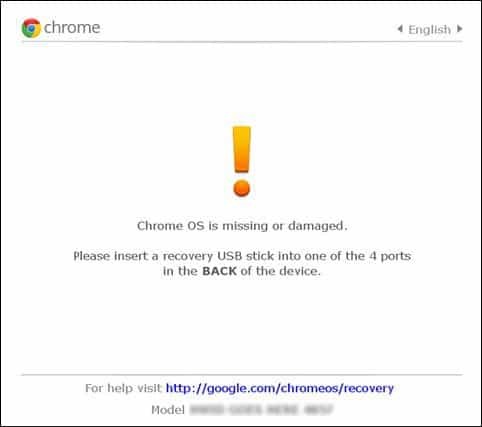 It says “Chrome os is either missing or damaged”. On this screen, press ctrl + d. This brings up another screen that says to press enter to enable developer mode. Press enter. That’s it, just wait for it to do it’s thing. That was the first phase! Easy huh? IMPORTANT! Now that you’re in Developer Mode, everytime you start up your device you’re going to see a screen you’re not used to. It’s going to tell you that something is disabled , and to press the space bar to re-enable it. DO NOT PRESS THE SPACE BAR. Just wait. Your device will beep a couple times, then it will boot up like normal. You can press ctrl + d if you want, and that will skip the beeping part and you’ll boot up a few seconds faster, but it’s not required. Just do NOT press the space bar. If you press the space bar, it will undo everything we just did. The next step is pretty easy. You need to download the latest version of Crouton. You can do that by clicking here. That’s phase 2! MAN this is easy! “What stuff do I type?” you ask? Let’s talk about that for a second. You know how with Windows and Mac OS you have several different versions? Like Windows 98, Windows ME, Windows 2000, Windows XP, Windows 7 etc. Well Ubuntu is no different. There are several different versions of Ubuntu, and several different desktop environments. I’m not going to talk about any of them. I’m simply going to tell you to install Trusty with unity, and I’m going to tell you how to do that. Once you type that in exactly as it shows here, hit enter. Now go mow your lawn. This will take awhile. It’s going to just run a bunch of scripts and do a bunch of magic. When it’s done, it will ask you to create a username, and a password. Note that when you type the password, it will appear as if it’s not registering your typing. But it is. It’s weird I know, just type it slowly and carefully and hit Enter, then it will have you type it again to make sure, and again it will seem like it’s not registering, but it is I promise. When you want to open Ubuntu, you will need to open that command window again by pressing “ctrl + alt + T” again. Then, type shell and hit enter again. Then type “sudo startunity” (without quotes) and hit enter. This will open up Ubuntu. Once you’re in, you can switch back and forth between Ubuntu and Chrome OS by pressing “ctrl + alt + shift + back button”. That’s the left arrow next to the esc button. That’s it! Clearly, you’ll want to read up on how to actually operate Linux now. It’s not the same as Windows or MacOS or Chromebooks or anything you’ve probably ever used (unless you’ve used Linux before). Failed to download crouton installer. What did you enter into the crosh for the installation of the chroot you decided to install? Did you get that resolved? Sounds like you picked one password (probably, not what you were aiming for), and were trying to put in another password, after it was already set. Unless you figure out what you initially typed, you’ll have to start from scratch. 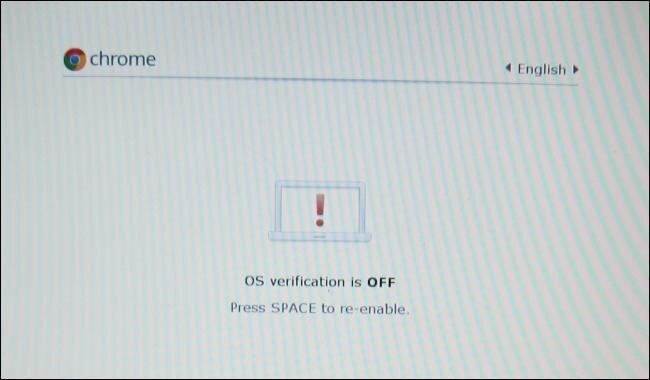 You have to log in on VT2….press (ctrl+alt+F2) ….f2 is the forward arrow at top of keyboard on chromebooks (->) it will be an all black screen…to get back out of it press same thing except the back arrow to the left of it…………….but first….once your in VT2 (the all black screen) it will ask you to log in as local host instead of chronos….type ‘root’ as username and ‘root’ as password…if you didnt set one earlier when you enabled debugging…if you did set one… use that password…but the username will still be ‘root’….without the quotes of course….then type this command once logged in….’sudo chromeos-setdevpasswd’ …….then type in the password you used when enabling debugging when first setting up Dev mode…or whatever your heart desires…and it will ask you to confirm…then your done…its just officially registering it really…its a catch 22 if you try to do this from web browser it keeps you as chronos and its like you need sudo to use sudo to get sudo lol…but this method bypasses that…sorry if its sloppy its late and im ready for bed.. forgive me…i normally dont ever post, period…I just spent hours trying to figure it out surfing the web so figured I would post back what worked for me to hopefully save someone the trouble. Good Luck. i have tried this and tried the password i set and it keeps telling me incorrect login. is what I get when trying. You aren’t in developer mode. What on earth are you talking about? There is no Chromebook that has a detachable keyboard. What Chromebook are you referring to, specifically? Thus far, there are zero tablet hybrid Chromebooks, only two-in-ones(360 flips). But yes, unless you designate a touch function of some kind to essentially replace the action of ctrl alt del, then you’d need to use the keyboard. I flip my Chromebook over into “media,” or even sometimes tablet mode here n there while using my Linux environment. It’s totally workable and actually pretty intuitive, like when using drawing applications like Krita, for example. Check your internet connection or proxy settings and try again. After having installed everything and follow instructions to the letter, it says “UID 1000 not found in trusty”. Any way to fix this? Alternatively, my ultimate goal is to be able to check out saved WiFi passwords on my Chromebook through crosh commands. After following all of those instructions to the letter, it tells me that ” !-~ ” isn’t a proper command, though all the tutorials say it is. The answer to either (preferably the second one, but still) would be appreciated. What if I don’t have a lawn? What do I do then? can anyone tell me how long this lasts, im getting really tired of waiting. Woke up hours ago playing halo last night. Is it fine if it says “Can’t open /home/chronos/user/Downloads/crouton? Is it fine if it says “Can’t open home/chrome…or whatever? Is there any place where more general crouton instructions are posted, for those who would like to use Kali, or Debian, or even those who would prefer lxde over Unity?